Come join us for a Family Day class! In just two hours students will create their own mosaic by designing and then gluing down materials selected from our wide supply of beautiful glass and ceramic tiles! 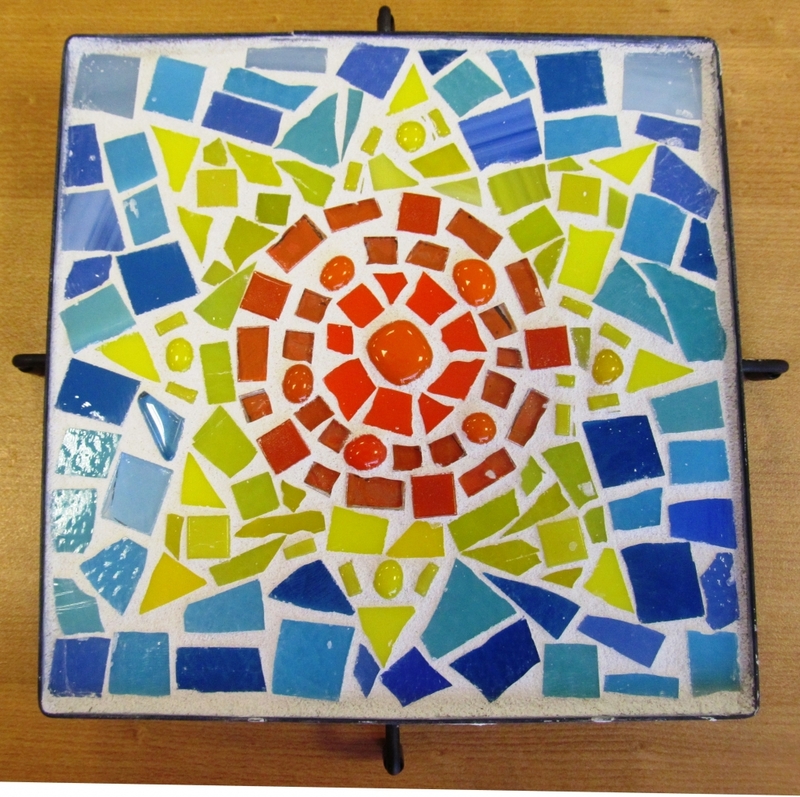 We will be making 6″ x 6″ trivets and provide grouting instructions and grout to take home. All children must be at least 7 years old to attend. Children under 12 must be accompanied by a paid adult. Companion tickets may be purchased for accompanying people to class or helping others with the project but companion tickets will NOT be given their own project. Everyone in attendance must have a ticket.